A beautiful natural pond and a historical stone house that was built in 1762, sits at the center and the focal point of Greenhill Vineyards and Winery. The 128 acre property also features a "Little River", that runs on the south east end of the winery, tiying in the natural landscape and breathtaking views that makes Greenhill vineyards so unique. The winery offers a cute farm house store, offering hand selected fresh, local produce and gourmet food items. 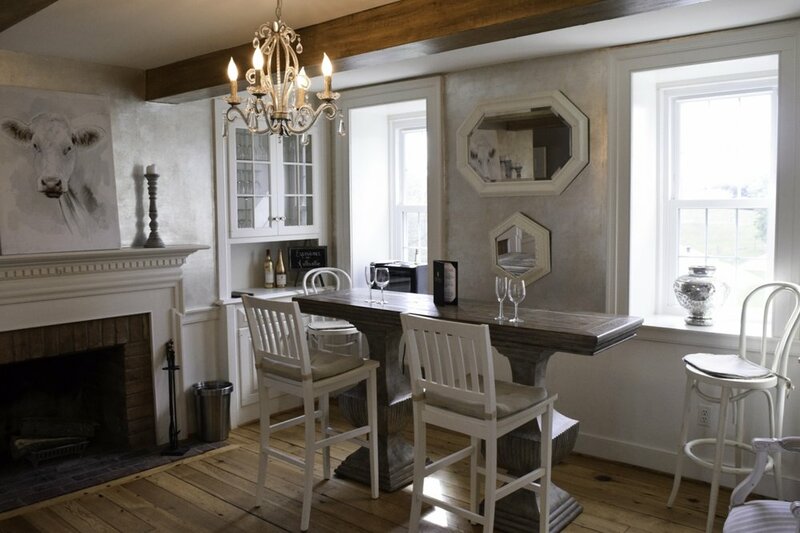 Theres also two types of tasting rooms, one at the main tasting room and one at the historic 1762 Stone House. 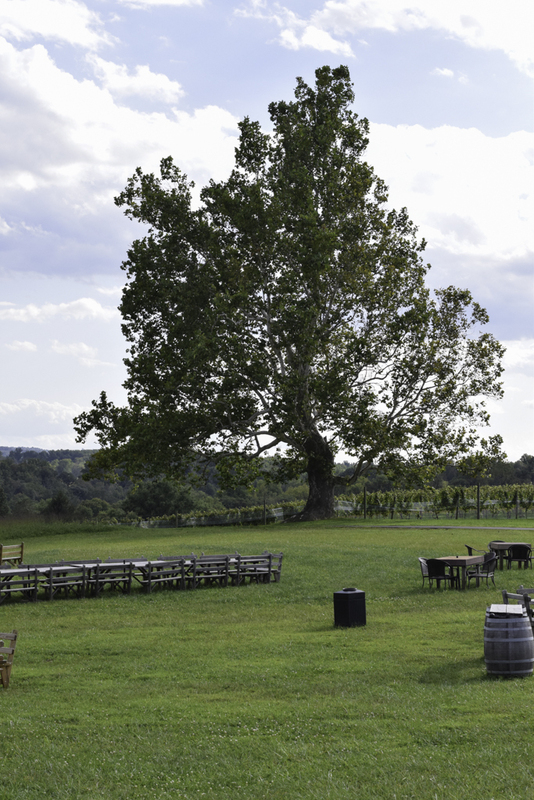 Either tasting room offers serene and panoramic views of Virginia wine Country. 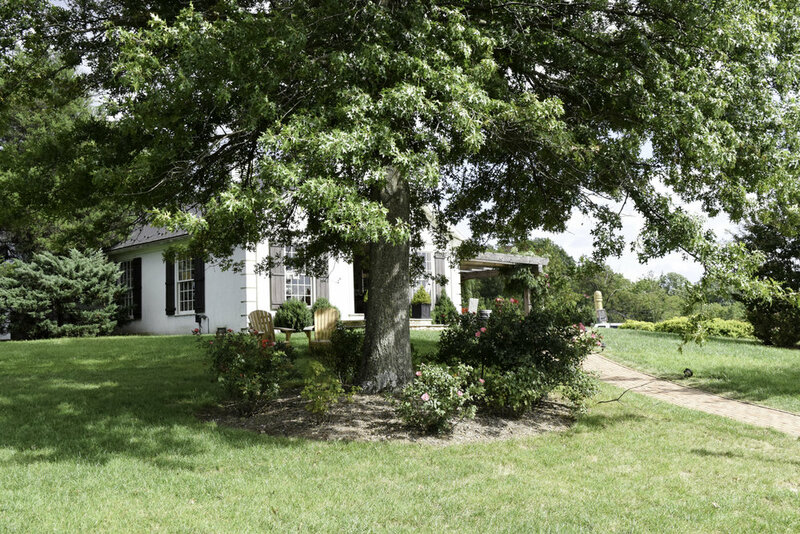 Owner David Greenhill purchased the property and vineyard in 2013, an exquisite property in the charming town of Middleburg. Prior to purchasing the vineyard, owner David Greenhill would visit Virginia wineries, which left a beautiful impression of the picturesque town of Middleburg, Virginia. In 2013, he purchased the winery and hired winemaker, Sébastien Marquet. Sebastian’s impressive background includes 27 years of vintages from across the world, and studies in oenology and viticulture in his native Burgundy, France. Together with owner, David Greenhill, they created high quality wine with an earthy farm environment that is located in the heart of Middleburg, Virginia in Loudoun County. Did you know that this 2015 Greenhill sparkling Blanc de Blanc was given at the 2016 Oscar’s in the "Everyone Wins" swag bags?? Some of the lucky recipients of this wine were Leonardo DiCaprio, Matt Damon, Cate Blanchett, Jennifer Lawrence, Mark Ruffalo, Sylvester Stallone, Christian Bale and Rachel McAdams. I’m wondering if any of them got to taste it yet because it was delicious!!!! It was a light pale color and crisp apples with light mineralitiy. It had a light velvety taste on the palate and a long finish. This was a refreshing Chardonnay Sparkling wine, which was also awarded silver at the 2016 San Francisco Chronicle Wine Competition. Greenville winery also makes Chardonnay, Cab Franc, red Bordedouax style blends, Viognier, along with many others. The Stone Manor House, which is used as an exclusive wine club tasting room, dates back to 1762 to the Virginia Colonial era. A lot of the furniture is vintage, including this rug below. The rug in the dinning room is a replica of the pre-revolutionary era. The private tasting room is surrounded by serene gardens, and a peaceful pond that overlooks Virignia Wine Country. Greenville Winery and Vineyards is close to other wineries and many places to stay. I highly recommend to call and make reservations, as this winery will get busy in the summers. Greenville winery also offers many events throughout the years, including Polo Nights. Tastings are $14. Click HERE to see more of their events. The Salamander Resort and Spa an equestrian resort in Middleburg is located on the foothills of the Blue Ridge Mountains and walking distance to downtown Middleburg. The Salamander Resort and Spa is a perfect place to stay for couples, families and dog lovers and is situated close to many wineries. The resort is so large it offers amenities for anyone in the family including amenities for your dog. The resort also offers zip lines for kids, walking trails, cooking classes and an equestrian center. Click Here to read about other Virginia wineries close to this resort. Exceptional customer service, excellent restaurants, luxurious rooms, an equestrian center and wellness spa treatments, are just some of the reasons locals return to this beautiful equestrian resort for the weekend. I had the privilege of staying here and had the most awesome experience and I highly recommend this resort to anyone coming into the D.C area and northern Virginia. The Red Fox Inn and Tavern located in the hart of downtown Middleburg, was probably my favorite meal while I was in town a historic landmark during the Gettysburg era. The Red Fox Inn is the oldest establishment in Middleburg, which was established in 1728. This establishment served as a stagecoach shop, apartment house, post office, butcher shop, tavern and hospital. The Inn remained both headquarters and a hospital for the South, while wounded soldiers were cared for in the tavern rooms below. The pine service bar, currently in use in the Tap Room, was made from the field-operating table used by an Army surgeon… Yikes! Didn’t see that one! Currently, The Red Fox Inn and Tavern is a restaurant and inn. The restaurant is such a beautiful place offering seating indoors and outdoors and beautiful music playing in the background. I ate the most delicious Halibut over Shredded Zucchini and some sort of yummy cream sauce! And of course I paired with Michael Shaps Viognier from Monticello, Virginia. This is a must place to eat if you find yourself in Middleburg, Virginia. Middleburg, Virginia in Loudoun County is a must visit if your visiting the Washington area. 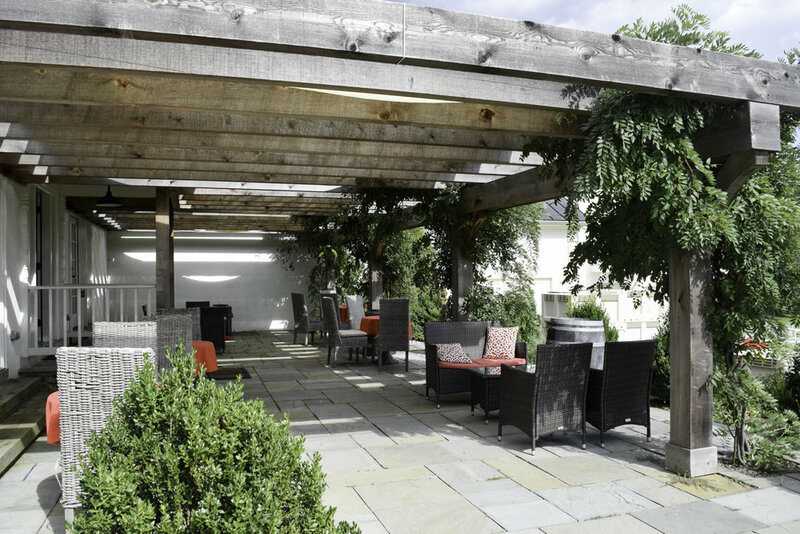 Known as "D.C's Wine Country" for its relatively short 45 minutes, makes this charming historic town perfect for visiting wineries, restaurant or a long weekend stay at the Salamander Resort.